Exchange Server is necessary to support Outlook and SharePoint in the enterprise messaging at virtually all Fortune 1000 firms. Microsoft(r) Exchange Server 2003 SP1 and SP2 Deployment and Migration describes everything that you need to know about designing, planning, and implementing an Exchange 2003 environment. 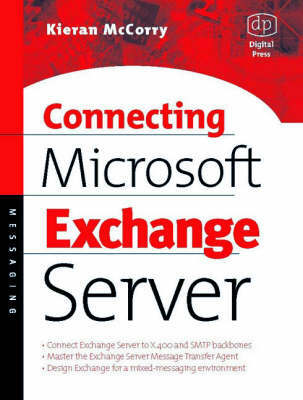 This book covers, in detail, the tools and techniques that messaging system planners and administrators will require in order to establish a functioning interoperability environment between Exchange 2003 and previous versions of Exchange including Exchange 5.5 and Exchange 2000. The book describes various deployment topologies and environments to cater for a multitude of different organizational requirements. The book has been updated to reflect the new changes that Microsoft introduced with Exchange 2003 and SP1 and SP2 updates in relation to major architectural changes to migrations techniques and other services such as RPC over HTTP and journaling functionality. 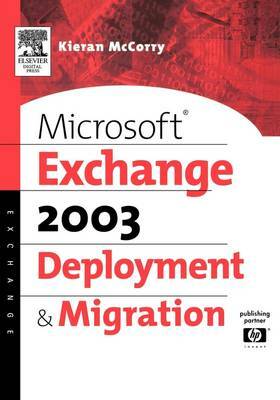 Buy Microsoft Exchange Server 2003, Deployment and Migration SP1 and SP2 by Kieran McCorry from Australia's Online Independent Bookstore, Boomerang Books. Kieran McCorry is a Principal Consultant in HP CI's Enterprise Microsoft Services Team, part of the Technology Leadership Group. Kieran works extensively with the planning, design, and implementation of messaging infrastructures for many of HP's largest worldwide customers. A frequent speaker at many industry events such as Microsoft TechEd, Kieran is also a regular columnist in the Exchange and Outlook Administrator Newsletter and writes frequently for Windows .Net Magazine. 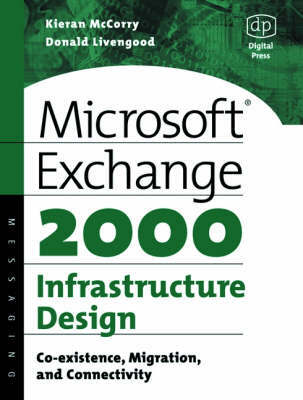 He is author of the book, Connecting Microsoft Exchange Server, (Digital Press, 1999) and co-author with Donald Livengood of the book, Exchange 2000 Infrastructure Design, (Digital Press, 2001).